Justin Peer and Lee Roy Parks IV, a.k.a. 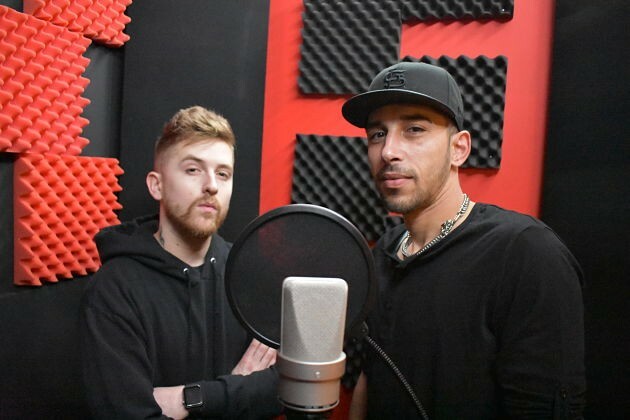 JP and naturalLee, in the booth at the studio. 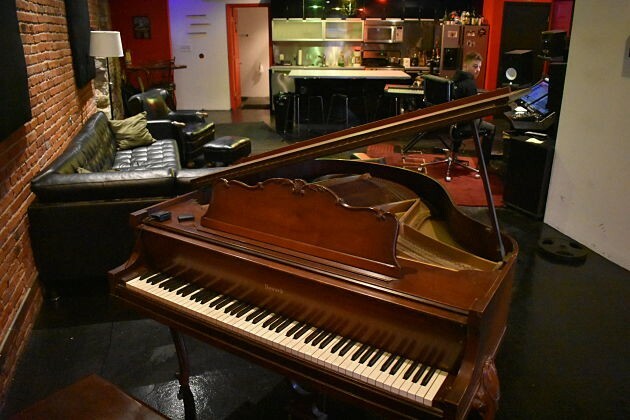 There's a new name in St. Louis' recording studio game. 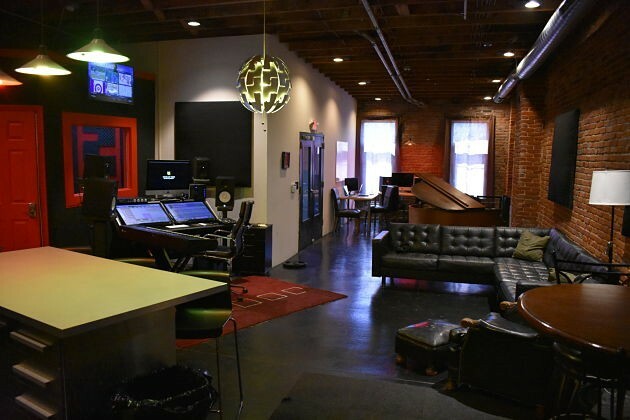 State of Mind Entertainment (3150 Locust Street Suite 100, 314-300-8106), a new studio located in Midtown, opened for business in October under the direction of owner Justin Peer. With a tight-knit crew of ambitious in-house artists and engineers, as well as a roster of musicians already counting themselves as clients, State of the Mind is well on its way to becoming a known commodity in the St. Louis music community and beyond. 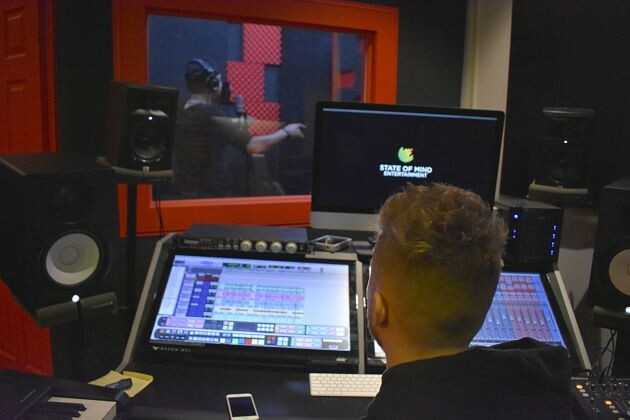 A chance meeting between Peer, 28, and St. Louis-based hip-hop artist Bigg Juke on the campus of SIU-Edwardsville led to the musical partnership that inspired Peer to open the studio. Peer, a rapper himself under the name "JP," and Bigg Juke began trading verses several years ago. After working with Bigg Juke and honing his verbal abilities, Peer sought to further expand his skill set and enrolled in Vatterott College’s Ex’Treme Institute in 2014, where he studied audio engineering, music production and business management. While at E.I., Peer met Aaron Anderson (“Big A”) and Lee Roy Parks IV ("naturalLee"), who have since become core team members at the studio. Anderson works the boards, serving as the sound engineer, while Parks handles artist promotion and performs as an artist in his own right. After assembling the team, the guys spent two years designing and completing the studio. But the work was only beginning, as they had to shift quickly into client acquisition mode in order to bring some more talent through the doors. In the months that have followed, the team has worked to cultivate a vibe that is conducive to making music and attracting artists. At the center of the mission is Anderson, who works hands-on with most of the artists who record at State of Mind. So far the hard work is paying off, as a growing list of local and national acts have already come through to record, including A1 and TK, Achilleus Gold, Cash 4oes, Cash Johnson, Doughyboy, Drama, Kiing Jupiter, Orack Pac and Prophit Smith. In addition to the in-house crew, Keith Page (“KP”), one of St. Louis’ most prominent audio engineers, conducts frequent recording sessions at State of Mind. KP has earned his top-shelf reputation by developing a signature sound and working with an impressive list of high-profile rap artists, including 3 Problems, Bezz Believe, Blac Youngsta, Boosie Badazz, Buddy, Chingy, JR, Nelly and R. Grizzly. For Peer and Co., getting the studio up and running was only part of the equation. Having secured a growing stream of clients, they've begun work on what will be the initial releases for the record label division of State of Mind Entertainment. Compilations featuring the in-house artists, some singles and Bigg Juke’s mixtape are slated to drop this spring. While Peer continues to make beats, write lyrics and record music of his own, he now finds himself in the position of signing and promoting other artists, giving him hands-on access to the music, from vision to creation to final product. The team at State of Mind shows no signs of slowing down, as they continue adapting new skills to take on more projects. According to Peer, they've already been able to branch out and take on new opportunities, such as producing sound for Mother Modeling’s Tribute Fashion Fest, working on several live events with STL Culture and scoring the soundtrack for a short film produced by Mercury Labs. They also have their sights set on jumping into the apparel game and plans for entering into music video production. Asked about the ultimate goal for State of Mind Entertainment, Peer is succinct. "I want a successful record label where we're really housing in-house artists and hopefully win some awards," he says. "Really, just make good music for good people." "Grammys, man. Grammys," Parks adds. "That's the goal." Check out State of Mind’s latest music here.